Are you losing hope with your weight loss program? Don’t know if you already hit a weight loss plateau? If you are, then don’t be discouraged because it can be a good thing! Now, you are on a great journey on “Weight Loss Plateau Solutions”. Surprised? If you think that weight gain won against you, don’t despair but instead look at it in different perspectives. Most people always push the panic button with regards to health and fitness whenever they don’t see immediate results. This led people to put their mortal bodies to the limits of dieting and intense exercises without knowing the consequences of their actions. With different fad diets being invented each day along with ridiculous fitness machines, weight loss is becoming much more of a business rather than a primary a health issue. So to give you ideas on why a weight loss plateau is actually a good thing, consider the following reasons. These might inspire you to be wiser with regards to proper and effective weight loss. Without further ado, here are the reasons why a weight loss plateau is such a blessing for you. This is definitely one of the best reasons why a weight loss plateau can be a blessing in disguise for you. Most people who want to lose weight fast are more prone to injuries during the course of their weight loss program. If you are in a slimming regimen that included strenuous physical activities, then you have higher probabilities of suffering from unwanted accidents, especially if you are working out in the gym. Depending on your exercise routine, injuries such as fractured bone, muscle strain, sprained ankle, knee injuries, wounds, tendinitis, wrist injuries and many others, are all likely to occur especially when you are in a rush to lose those extra pounds. If you want to avoid injuries from your exercise program, you better be thankful that you already reached your weight loss limit. Health should be your primary concern whenever you like to shed some weight. Unfortunately for most people, they ignore this fact and they focus more on a rapid slimming program. Why should you worry about following an ill-advised fast weight loss program? Because it can lead to health disasters. Let’s consider dieting first. Dieting can indeed help you lose weight, and it is still probably the most practical solution to get yourself fit. Diet plans such as the Mediterranean, the Paleo diet method, and many others are not ideal for all types of dieters to follow. These diet programs require food restrictions that are not suitable for beginners, or even seasoned dieters. Restricting food groups can backfire on your health. These fad diets are good for short-term weight loss and are not advisable to follow in a long-term program. It can weaken your immune system because you are not taking a balanced diet which can lead to malnutrition, sickness or even death. Dieting should be accompanied and monitored by an expert to ensure healthy weight loss, without risking your health. Yes, you should be thankful that you are already on your weight loss plateau! Any physical activities can help burn fat and effectively elevates your metabolism. If you are too inspired to lose weight, you are probably working out more rather than following a restrictive dieting plan. However, people thought that they were well informed on how to exercise properly without getting injured. Because of the workout television shows and fitness clubs, people are influenced and are thought to believe that they can easily do exercises like Tae Bo or Insanity Workouts. But these fitness videos are not designed for beginners! People do workout routines on their own without any guidance of a fitness trainer. The result? Instead of health benefits, they get unwanted health conditions such as breathing difficulties, digestion problems, dizziness, heart failure, irregular or cessation of menstrual cycles in women, sleeping problems, depression, eating disorders and many others. Weight loss is a broad issue that can either be beneficial to you or not. Think wisely if you still want to pursue weight loss through a particular workout program. First off, weight loss is a multi-billion dollar industry and since you are a fitness enthusiast, it makes you one of their customers. Yes, most people spend thousands of dollars just to lose weight. How people spend just to lose weight? If you are unconscious about different means of fitness programs that involves money, then you are blind to the reality of how weight loss business works. Different weight loss products and programs are abundant online. It includes fitness eBooks, paid dieting plans, fitness machines, workout DVD’s, medical treatments (surgery), slimming products and the ever-growing world of dietary supplements. The most people spend are not diet programs or surgical procedures (which are highly expensive and impractical), but diet pills. Yes, dietary supplements are at the top of the food chain. Do you patronize dietary pills? If you are here, you probably are! 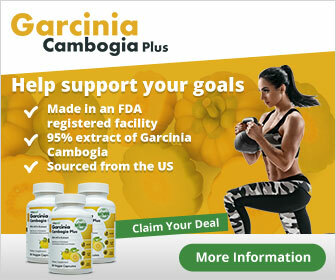 Slimming pills review sites are on to you, giving recommendations on what is the current best product in the market. Diet pills act only as a “supplement”. So it can help you lose weight if you combine dieting and exercise. It is entirely up to you if you like to spend money on these weight loss mediums. If you reach your weight loss plateau, you probably wonder how much money you had just lost just to lose weight. Again, you should be thankful if you are already on your weight loss plateau solutions. Don’t be confused because I still want you to win your battle against weight gain. Although I am talking about the benefits of weight loss plateau, you will still be in a much more disadvantaged position if you stay overweight or much worse – obese. The rules are simple to get a physically fit body – balanced nutrition and consistent physical activities. As weight loss celebrity Jennifer Hudson suggest, weight loss needs neither excessive expenditures nor you have to be prestige to acquire effective weight loss. Jennifer also gave advice to dieters on eating well and avoids the usual “dieting mentality”. This means that you can eat whatever you want, but just make sure that you consistently apply a workout routine to help burn those foods you had taken in. Reaching your limit is not the end of the road. Take your weight loss plateau as a big challenge and think that it is favoring you rather than a failure. Weight loss plateau is just the beginning and you have to start thinking about how to start on the right foot in your fitness program. Motivation is the key! Think out of the box and you will see the biggest factor that’s keeping you from your success! Perly Rodolfo is a weight loss advocate and a health blogger. She is working alongside other Asian bloggers to spread the word about natural weight loss and overall wellness.